Hot temperatures once bean crops have set first pods can trigger Bruchid beetle egg laying activity. The resulting larvae feeding damage hits yields and bean quality. 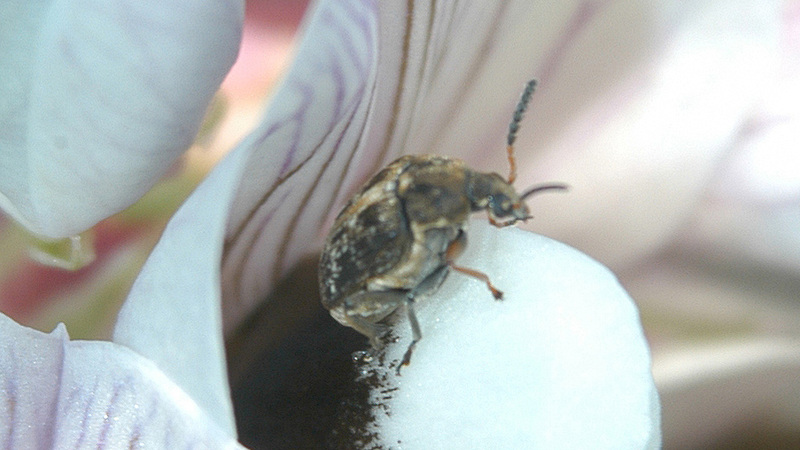 A surge to summer temperatures, forecast to top 25°C this week, will coincide with first pod set in many winter bean crops – and has triggered the conditions for Bruchid beetle warnings. Growers are advised to be highly alert for beetle activity and treat crops accordingly. Syngenta BruchidCast issues localised advance warning of forecast conditions conducive to Bruchid breeding activity, giving growers the chance to intervene before damaging egg laying occurs. Bruchid larvae feeding on developing beans in pods can result in yield loss and low-value damaged beans. Becky Howard of PGRO reported growers had made significant advances in recent years to reduce the incidence of Bruchid damage, with BruchidCast integral to helping with timing of Hallmark Zeon application. “Last year, however, there was an increase in recorded levels of bean damage, up to levels last seen in 2012,” she highlighted. “That was possibly down to growers’ perceived low risk in the dull conditions, when temperatures were actually plenty warm enough for the beetles. 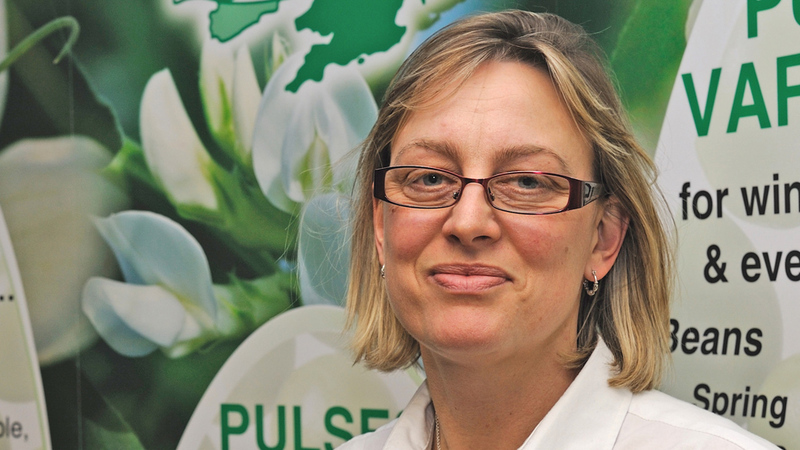 “It really reinforced the value of the forecasting service and the need for growers to take heed of the warnings,” Becky added. Becky pointed out that crops in PGRO trials this season were already at the very early pod set stage, although pods were still wrapped in flowers. Syngenta Insecticides Field Technical Specialist, Max Newbert, advocated adult beetles should be targeted in crops at risk when there has been two consecutive days with temperatures above 20°C – as is likely to occur across much of England this week. “Weather conditions indicate that the pest is more likely to be active in the south, but damaging outbreaks have been recorded as far north as Yorkshire and Humberside,” he warned. Growers and agronomists can register now to receive regular email advance warning of potential Bruchid egg laying activity. The information can aid timing of Hallmark Zeon treatment, which trials have shown can successfully reduce levels of bean damage.